Established in 2006, K9 Walkers provides pet minding and dog walking services to the NSW Central Coast. We deliver a professional and affordable service for a variety of pets. Offering personalised attention for pets who prefer to stay in familiar surroundings in the comfort of their own home and have us visit to care for them. While you are away, we not only care for your pets, but also clear your letterbox and put your bins in and out as required. K9 Walkers offers flexibility to best meet the needs of you and your pets. Giving you peace of mind because we care for your pets like we would our own and have been police checked. With many happy and repeat customers! Piece of Mind that your pets are being well cared for. We feed all types of Pets – including Reptiles. Collect mail/Put bins in & out/Pots watered. A FREE House & Pet sitting service. Servicing ALL Australia. Save BIG $$$ on kennel & cattery fees and keep your pet at home where it is most comfortable! 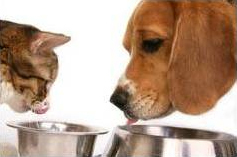 We walk, feed & care for your pets in your own home. Professional & reliable holiday & weekend care. We provide lots of cuddles & TLC. Mobile pet grooming in own home. Boarding available for pet rabbits and cavies while you're enjoying your holiday. Very reasonable rates. Love for your pets + security of your home …. guaranteed ! ♥ Whether you are on holidays, busy working or going out for the night. Leaving your pets at home no longer has to be worry for you! Gold Coast Pet Sitting (aka “GCPETS”) offers at your home once or twice a day pet sitting visits, dog walking adventures, dog minding during the day, overnight care or full time live in house sitting for all pets from axolotls to zebras, especially moggies and doggies. Our services include walking, feeding, pet clean ups, playtime, light grooming, socializing and plenty of attention! A professional pet sitting and dog walking service for the Lismore region of NSW. Large range of services all species. We will look after your pets while you are away on holidays or if you simply have a busy lifestyle and still want the companionship of a pet. We will also collect your mail, water your plants and take out your rubbish. Services Include: Holliday feeding, cleaning of enclosure, change bedding, administering of any medications and any other general maintenance you require for your pet. Servicing the western suburbs. Holliday feeding, cleaning of enclosure, change bedding, administering of any medications and any other general maintenance you require for your pet. Dog & Cat Clipping & Grooming Salon. Loving care for your pet by experienced Veterinary Nurse. Pet Sitting, Grooming, Walking and all other kinds of services.Registered Business with Police Check and Insurance. Rabbit boarding Melbourne and other small pets minding or boarding. I also mind guinea pigs in your home or mine. I will visit your home and feed all you pets while you're away. Rabbit boarding sitting minding expert. Indoor and outdoor rabbit boarding and minding and guinea pigs too. Lots of tender care with pats, kind words and cuddles if your rabbit likes to be picked up. Mozzie proof rabbit boarding. Bunnies are safe in our care. It's truly a bunny wonderland of care by Janine in Melbourne Australia. Feed, water, clean cages or rabbit hutch while you are away. Melbourne pet minders. Enquiries Welcome - please call Janine. Rabbits need special care. You can rely on us to mind or board your rabbit or rabbits in Melbourne. Rabbit minding boarding specialist. We are located in East Doncaster Victoria 3109. We can collect or come to you to mind your rabbit or other small pets. Dogs, cats, birds, rabbits, guinea pigs all lovingly and professionally cared for. Minding and boarding insurance for your peace of mind. East, West, North and South. Your rabbit will be well cared for. We can pick up and deliver your rabbit after boarding him or her and we only charge a small fee. Male and female rabbits kept separately. Veterinary care immediately as required. Rabbit boarding sitting expert. Rabbits like a quiet environment and I can keep them at my home for boarding or in their usual place at your home. FOR CLIENT'S SECURITY I HAVE NO ADVERTISING ON MY CAR. pet rabbit minding Melbourne mind a rabbit rabbits care for look after house home feed water vet care veterinary comfort big cages indoor outdoor rabbit runs rabbit motel rabbit hotel for rabbits bunny care bunnies expert, support rabbits, holiday rabbit service, police checks, security home house rabbits, low cost cheap, reliable, personal rabbit care melbourne east west south north, northern suburbs areas, southern, eastern, western melbourne locations pick up delivery of rabbits to your home for minding or boarding care. www.melbourne-petminders.com.au/pet-boarding-rabbits, we visit your rabbit to feed and water and clean cage. Going on holidays or away for the weekend? Your pets remain in familiar surroundings of their own home. All pets cared for including horses & other large animals. Registered & insured business. Testimonials available. Police clearance certificate. Alternative to Boarding Kennels - Why place your beloved pets in boarding facilities when they could stay with wonderful pet loving families instead? Going away? Let your Pets stay home and Play! CHEAP RATES WITH DISCOUNTS & SPECIAL OFFERS FOR LONG TERM. 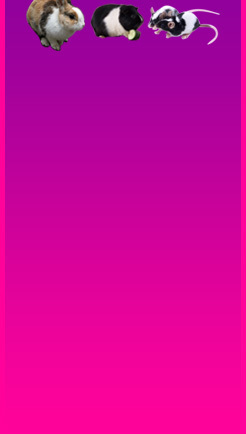 Every 7th visit is FREE! St Helens Park, Rosemeadow, Ingleburn, Glenfield + plenty more! If unsure of area please ask. Experienced pet sitter , business originated in Queensland. When you are away your pets experience less stress by staying in their familiar environment. would receive from their owner. allowing your pets to stay comfortable and stress free. Smalls Animals such a birds/rabbits i can have at my house *I only limit this to one client at a time. for when the time comes to care for your loved ones. Book ahead to secure your spot! Noonies Dog Walking & Pet Care is a new business servicing dogs and pets in the SYDNEY'S INNER WEST, ST GEORGE AND SOUTH SYDNEY. ** Pet Care, be that dog, cat, bird, fish, guinea pigs, mice, rats etc. If you have a busy lifestyle, going away or have to leave your pet at home for long periods, Noonies offers the services to give your much loved pet all the attention it needs. Our pricing is quite affordable (see prices page on our website. Mobile Pet & House Minding Services- Caring for ALL pets. Welcome to All Creature Comforts Pet Services We offer a professional dog walking and pet minding service for creatures of all shapes and sizes in Perth, Western Australia. At All Creature Comforts our goal is to provide you with exceptional quality home based pet care services, and dog walking, at times when you are unable to do so yourself, due to holidays, insane work schedules, even illness or incapacitation Unlike many other pet sitters, we are a registered business, with $10 million public liability cover, and a current National Police clearance certificate for added peace of mind. Your pets will be loved and cared for in the same way that you care for them yourselves. They will receive an abundance of attention, pats, and cuddles All Creature Comforts is owned and operated by Liz Halloran, a life long owner and sucker for all animals, who prides herself in being honest, punctual, dependable, and dedicated to exceeding your pet care expectations. She currently caters to the whims of all six of her four pawed family members, 2 dogs and 4 cats, which include two rescued cats, and one rescued dog. She is particularly focussed on the welfare of all animals, and often ends up with strays requiring loving, feeding and help finding new homes Liz started All Creature Comforts, after it became impossible to find appropriate, affordable care for all her pets before going on an overseas holiday. Boarding her animals for one month was going to end up costing almost twice as much as her holiday, and she was sure her pets would not have enjoyed their “expensive holiday” nearly as much as she did. However, all was not lost, when the faithful in-laws flew in from New Zealand to save the day, and mind the menagerie while Liz was on holidays. From there the idea to provide reasonably priced pet minding, dog walking and home holiday services was formed. Liz now provides the service that she was unable to find when organising her holiday away. Animal's Kingdom Pet Care is a specialist pet sitting provider, dedicated to delivering superior care to all species of pets in their home environment. At Animal's Kingdom Pet Care, we recognise that placing your cat or dog into a boarding facility can often result in a stressed and unhappy pet, with minimal daily human contact and increased risk of contracting illness. Leave your animal in the comfort of their own 'kingdom' by using our services at Animal's Kingdom Pet Care. Animal's Kingdom Pet Care services the Western suburbs of Melbourne, including Werribee, Williamstown, Laverton, Altona, Hoppers Crossing, Tarneit, Yarraville, Point Cook, Little River and Lara. If you require our services in an area not listed, please contact us for prices. Owners who travel regularly, require hospitalisation or may need some extra help caring for their specialist pets such as horses, reptiles, amphibians, ferrets, rabbits, mice, rats, birds and fish often have little or no options available. Our wealth of experience with numerous animal species (both domestic and exotic) ensures that Animal's Kingdom can deliver optimum care for every animal in your household. When you can't be home for them, whether because of work, holiday or other obligations, you want them taken care of with the same love and attention you give them. That's exactly what we do at Debzcompleteplantandpetcare. Because we love pets! Debzcompleteplantandpetcare offers a multitude of services for a variety of pets. We can also handle various home services which, by making it appear that your house is occupied, can be a crime deterrent. Choose the schedule and services you want, and we'll do the rest. Working long hours or traveling away from your pet for any reason can leave you and your pet distressed. Melbourne Pet Sitting Service can keep your pet company for an hour for a feed or walk, or for months while you are away. This can be in the comfort of your pets own home or in mine. Taxi your pet for Vet appointments or Airport pick-up and drop-offs. Services are available for all suburbs in the North of Melbourne; Eg from Fitzroy to Wallan, St Andrews, Panton Hill, Hurstbridge, Warrandyte, Park Orchards, Ringwood, Watsonia, Greensborough, Eltham, Lower Plenty, Yallambie, Bundoora. Michelle Comber, Franchise for K9 Capers (East Grinstead) is pleased to offer pet care services in East Grinstead and surrounding areas including Haywards Heath. As part of a successful National Company - K9 Capers, we will ensure you receive a professional, reliable, caring service which is fully insured and flexible to suit your needs with a Guarantee that your dog will not be walked with any more than three others. 24 hours a day when you are away! Forget the Boarding Kennel / Cattery. Now you can leave your pet/s in the Comfort of their own home. For all your house and pet sitting needs within Australia and New Zealand. Lonely Pets Club is the only fully insured company with a network of pet carers all over Melbourne and is Australia's largest pet sitting company. Leave your pets at home and one of our animal loving professional carers will visit to care for them. Franchises are now available! Preferred and recommended by vets all over Melbourne. We visit your home to care for your pets in their familiar surroundings. We provide regular dog walking and pet feeding for busy people and are a safe alternative to boarding. Visit www.lonelypetsclub.com.au for more information. We have carers all over Melbourne. Office hours are Monday to Friday, 9 to 5.30pm. Pet care is available 365 days a year. Phone 1300 CUDDLE (1300 283 353) or visit www.lonelypetsclub.com.au to make a booking. Want to go on holiday but can't take your pet with you? Don't want to leave your pet at a stranger's house? Then let us look after your precious pet in your home! Professional, personal pet visits are the most caring, convenient and cost effective choice for looking after your pet when you need a break. Not only will we feed, pat, cuddle and spoil your pet, but we can collect your mail, take out the garbage and even water your plants if required! Reduce the stress on your family pet by allowing them the comfort and reassurance of staying at home. Separation anxiety, unhygienic surrounds, contagious diseases (such as kennel cough and cat flu) and parasites, which may be acquired in a strange home or kennel, is not a concern when your pet stays at home. They can sleep in their favourite bed, chase their ball around the backyard or curl up for a spot of sun, enjoying familiar scents, sounds and surrounds. Daily visits from a pet sitter can also act as a crime deterrent when you are away. We can do yard checks, or turn lights on and off as needed. We can assist to ensure both your pet and home are safe and sound. Because we come to you, there is no need to worry about dropping your pet to an unfamiliar home or kennel, or to stress if you've misplaced Fido's vaccination papers. You provide the usual food your pet consumes, so there's no inconvenient tummy upsets. We can cater to a casual one night break away, through to your holiday of several weeks. When you return, you will know the garbage has been emptied, the plants watered and the mail collected, among our many other services, helping make your holiday and return home stress free. The cost of kennels and catteries can be expensive. If you have multiple pets then the costs can be prohibitive! Not to mention that many are located in rural, or out-of-the-way locations. If you have a cat, dog, fish and a budgie then there's four different expenses and/or minders you will need to consider! With Pet Sitters Gold Coast, we can take care of ALL your pets at the one time in the comfort of your home. We also discount for multiple pets, so you will find that the more pets you have the less the total cost. We also offer a Premium Service upon request, such as transporting your pet to any regular vet, grooming or other appointments, and overnight stays if required. Puppies are a specialty with multiple day visits for feeding and play if required. PET SITTERS GOLD COAST ARE FULLY INSURED, ANZPETSIT CERTIFIED, POLICE CHECKED AND POSSESS CURRENT ANIMAL FIRST AID CERTIFICATES. * Pet Sitting - minding your pets at your own home while you are away. Checking mail etc. Our love of animals ensures our service is excellent and our prices are affordable by pet owners. At Dial A Minder Pet And Home Care, we provide a range of personally tailored pet and home care solutions to suit you, and your pet's every need. We come to you! We are passionate about caring for your pets. We put their happiness and wellbeing above all. They are a precious part of your family, and will receive all the care, love and affection we can possibly bestow on them. You can relax knowing your pets are in good hands. Dial A Minder Pet And Home Care services the Penrith and lower Blue Mountains areas including Glenmore Park and Orchard Hills, Glenbrook, Leonay, and Emu Plains, Regentville, Cambridge Park and Werrington, Claremont Meadows and St Clair. Happy to Mind your pet Guinea Pig while you are on holidays in their own cage at our premises. Small Animal Sitting in Cardiff and the Valleys from K9 Capers! - Pet Food/Supplies delivered direct to your door! So for Small Animal Sitting and Care in Cardiff and the Valleys, think of K9 Capers! In home pet sitting for your small pets, reptiles included. Holiday with complete peace of mind knowing your pets are being looked after in the comfort and security of their own home. Grooming and playtime included where appropriate. We also have a pet taxi service for visits to the vet, boarding facility, new home etc. Also, in the sad event of losing a pet, we will transport the remains for you (eg from vet to home for burial, from vet/home to cat cemetery/cremation facility). Lonely Pets Club offers a professional, multi award winning, highly personalised pet sitting and dog walking service. Servicing Melbourne and Sydney, and in particular local carers in Melton, we are Australia's premier and most experienced pet sitting company and take great pride in setting the bench mark for other pet sitting businesses by offering the highest quality care available for your pets. We visit your home to care for your pets in the comfort of their own environment. We believe that pets are much happier left in their own home than boarded elsewhere such as in a dog boarding kennel or cattery. For details on pricing and areas serviced see our website at http://www.lonelypetsclub.com.au. Critter Crew is a husband and wife team that delivers professional pet sitting and dog walking services to the south eastern suburbs of Melbourne. For your peace of mind, we are fully insured and police checked. Please refer to our website www.crittercrew.com.au for pricing and other information. pet sitting, pet sitter, dog walking, dog walker, pet minding, pet minder, dog, cat, dogs, cats, pets, rabbit, fish, guinea pig, mouse, mice, rat, rats feeding, critter crew, melbourne, south east, Springvale, Dingley, Moorabbin, Bentleigh, Glen Waverley, Doveton, Dandenong, Endeavour Hills, Mentone, Cheltenham, Sandringham, Hampton, Mordialloc, Chelsea, Bonbeach, Carrum, Seaford, Carrum Downs, Clayton, Bangholme, Braeside, Knox, Rowville, Brighton. Do your animals prefer to stay at home when you are away? Do you need someone to take Fido for a walk while you are at work? Are you going on vacation and want someone trustworthy and professional to give food and cuddles to Fluffy? Good Doggy Professional Dog Walking and Pet Sitting services offers you the peace of mind to leave your pet in its own surrounds- his home- and get all the loving care you provide them while you are away. I will spend as much time as i need at your house doing all i need to make your animals feel comfortable happy and most of all LOVED. I will walk and train them everyday while your away and fix any problems pulling on lead, jumping, digging, barking etc. When you come home i will spend up to an hour with you to show you how to keep up the training. Rabbit Boarding, Rabbit Minding, Guinea pig Minding, Guinea Pig Sitting, Guinea Pig Boarding. We believe each pet is unique. Each has its own personality and its own needs. That’s why, at HappypawsFITNESS, we like to go that bit extra and tailor our programs to suit each of our four legged customers. That way, you can rest easy that your pet is getting the right amount of exercise and plenty of company while you’re away from home. We’re here to make your life easier and your pet happier. At HappypawsFITNESS we are very flexible and would love to talk to you about tailoring a program to suit your needs. We mind Cats, Dogs, Mice, Rats, Birds,Fish, Rabbits, Reptiles, It doesn't matter - WE LOVE ALL ANIMALS! Urban Herd has a range of minding services that ensure your animals’ wellbeing and environmental requirements are taken into consideration. Not all animals like to go to a place where there is a bunch of miscellaneous personalities where they have to immediately fit in, nor sit in a cage, kennel or run all day long; be it day care or longer stays. Instead we offer the complete comfort of our home stays, daycare and visits. Your pet, dog, cat, bird, lizard or any other is a guest in our home. They are allowed to do anything they please just as if it was their own home, while being looked after by a qualified animal specialist. They will receive personal attention and tailored exercise whilst being loved as if they were our own pets! Don’t forget we offer drop off and pick up services as well. Urban Herd is conveniently located in the Eastern Suburbs Sydney where your pet will stay in a luxurious apartment. Alternatively if they prefer a backyard, paddock or beach to run around, we have properties for longer and flexible stays. Just let us know your pet’s needs and we will select the best option for them. What ever your animal's needs, we will tailor the right service for you and your animal. Home Petz is a professional pet sitting and dog walking business in Ipswich, QLD. "Taking care of pets in their own home." 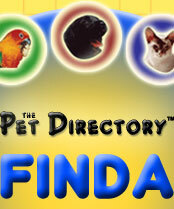 Experienced in caring for all kinds of pets - dogs, cats, birds, rats, fish, reptiles. Insured with current police check. A surcharge may apply to suburbs outside the primary service area. Homes located further than 12 km away from Yamanto may incur a surcharge towards travel expenses (generally $5 to $10 per visit). It is not a good idea to leave your dog behind in just anybody's care when you go for vacations. Because travel often proves stressful for pets, it is usually not a good idea to take them with you either. You should instead opt for a professional pet sitting service in your area for the perfect care of your furry friend! We offer pet sitting service in your home, while you are out of town. We take care of dogs, cats, ferrets, bird, fishes, hedgehogs, and any other small animals. While you are away we also pick up your mail, water your plants and make your house looks occupied. Your local insured and bonded pet sitter goes through a background check so you don’t have to worry. Our cars are not marked with advertisement so nobody will assume that you are out of town. Our dog sitting is usually includes a walk or play depending on your instructions. On our pet sitting visits we keep a log with the time we arrived and the time we left, along with a little note so you can see how your animals were doing while you were away. The good news: if you have multiple animals you pay the same price as only one furry child. We charge per visit and not per animal. Professional pet care in your home and ours. We offer professional dog walking, pet minding, house sitting and luxury dog boarding services in Hobart and Southern Tasmania. We look after dogs and cats as well as all other types of pets, including weird and wonderful ones! We also care for larger pets such as horses and hobby farm animals. All animals are looked after by our experienced, dedicated and animal-loving staff; and for your peace of mind we will happily put you in touch with existing clients who can recommend our services and pet sitters. When away from home your dog is the best security device, why not leave them in the comfort of their own domain to do their job! My pet sitting service is affordalbe and ideal for ANY pets. Discounts for seniors,disabled and regular clients. We provide daily home visits to your pets in their own stress free environment, personalised to your pet’s requirements and your pet’s routine. If you have multiple pets then the combined costs of kennels can be expensive. By keeping them at home, Lots of Luv’n Home Pet Care can take care of all your pets at the one time making it more cost effective. Most pets are less disrupted or stressed when left in their own family environment. You have the peace of mind knowing that your pets are being well cared for by an experienced pet sitter. Your pets are given loving care and attention while you are away in the comfort of their home environment. Your home will appear lived in and therefore will be more secure. Our experienced Pet Sitters will come to your home once or twice daily to visit your pets. Our Pet Sitters have a Federal Police Check and are fully Insured. Lots of Luv’n Home Pet Care is committed to ensuring your pets receive the very best of care and understands that they are an important part of your family. Our Pet Sitters are genuine pet lovers, honest and reliable. They have a Federal Police Check and are fully covered by Public Liability Insurance. The initial interview for you and your pets to meet our Pet Sitter will be free of charge. Pet sitting and minding service for small pets that prefer to stay in their own home. We at Pocket Pet Penthouse offer a two dimensional service because first and foremost we believe in ensuring that everyone’s needs are being catered for. After careful consideration and thorough market research, we discovered that there is a lack of pocket pet (i.e. rabbit, guinea pig, rat, mice and small bird) minding services in the market place so offering that service was the initial phase of the business, however after speaking to numerous pet owners who cannot find enough suitable home visit services to cater for their dogs and cats that are more comfortable staying in their own homes, we decided to add this service and also include other varieties of domestic animals such as horses, chooks, reptiles, parrots and even perhaps more unusual animals that fall under the heading of miscellaneous pets. "We look forward to treating your pet like a celebrity". Pet Carer is based in Darlinghurst and services inner Sydney: the eastern suburbs, inner south, inner west and lower north shore. Pet Carer provides a professional, personalised service. Instead of having to put your furry friends in a kennel while you’re away, you can have us care for them. As You Left It - Pet Minding & Sitting - Your premier house and pet sitting service! Will you be away on business? Do you have to go to the hospital? Are you worried about your pets? As You Left It Pet Minding & Sitting will take over all the worrying. We'll look after your home as if it's our own. You can rest assured that your precious pets will be happy, safe and well looked-after! AYLI sitters will care for your home as if it was their own, and cherish your animal companions while you're away. Our animals are very precious to us all. You don't want to leave their safety to chance. Ensure their comfort and happiness by letting them stay at home with someone who will be happy to walk the dogs, cuddle the cats, talk to the birds, pick up the eggs from the chickens, feed the mice and guinea pigs and generally make sure they are all warm, safe and happy until you come home again. Burglars don't like breaking into houses when someone is home. Keep your house and contents safe by having a house sitter in residence while you're away. Pet Minding Cat Dog and small pets minding. Dog Walking Pet Massage small pet home stay. We provide our services in Gippsland that is Morwell Moe Trafalgar Yarragon and locations north and south of these locations. Boarding available for Guinea pigs in the Bathurst Area. Please contact Emma for details. Situated at 55 Cooper Road BULLA Vic 3428. Approximately 10 minutes from Melbourne Airport in Tullamarine. Sampenny offers quality service and a genuine love for all animals in our care. Rattikins Small Animal Boarding provides profesional, quality holiday accomidation and care for Rabbits, Guinea Pigs, Rats, mice and Ferrets by qualified and experienced carers at affordable rates. Give your Pet a holoiday too. Located in Richmond NSW, West of Sydney. The Australian Cavy Sanctuary offers a Boarding Service to Guinea Pigs while their families are on holidays or business. To make an enquiry about guinea pig boarding please click on our message form link above. While Boarding with ACS your guinea pigs will be assured a safe environment where they will be cared for by our shelter managers who have years of experience in caring for guinea pigs. Your guinea pigs will be assured an appropriate diet and lots of love while in our care. The Australian Cavy Sanctuary is a community purpose organisation managed by dedicated individuals and volunteers across Australia who are truly passionate about the welfare of guinea pigs. We take in surrendered/unwanted guinea pigs and also re-home them. The ACS brisbane shelter can and has housed up to 150 guinea pigs at any given time. For further information about the sanctuary, guinea pig care, how you can help and for photos of current adoptable guinea pigs please visit our website. Professional boarding for rabbits & guinea pigs in our bunny hotel! Small to ensure quality care in my home. Rabbits must be vaccinated on the 6 monthly protocol. If your rabbit is not vaccinated I will vaccinate your rabbit two weeks prior to boarding. A Bunny Holiday Sydney = We are located at Roseville 2069 North Shore Next Door to Cinema - across the rd from Roseville Train Station. (Best To Park in Larkin Lane) - for Visits Or drive to our door for quick boarding drop off and pick up. Rabbit Boarding - Rabbit Minding - Rabbit Sitting - Rabbit Care - Bunny Boarding. Sydney - NSW - Roseville - North Sydney -North Shore A Bunny Holiday Sydney = We are located at Roseville 2069 North Shore Next Door to Cinema - across the rd from Roseville Train Station. (Best To Park in Larkin Lane) - for Visits Or drive to our door for quick boarding drop off and pick up. Rabbit and small animal holiday boarding service. We have many years experience in caring for rabbits, guinea pigs, hamsters, gerbils, mice, ratsand small birds, and we only look after a manageable number of small animals, which means we can cater for all your pets needs. We offer your pet a 'home away from home'. Each pet is housed in its own hutch for the duration of their stay & will be offered daily access to an outdoor run (weather permitting). Bonded pets will be kept together at all times. We offer a first class housing & hygiene service for your pet rabbit or rodent. Our rabbit & rodent accommodation is brand new, draft free and the luxurious size of 3ft x 2ft. Hutches & caged housings are cleaned & changed every other day. High priority is given to stimulation & social contact which in turn leads to achieving the happiness & general well-being of your pet rabbit or rodent whilst in our care. Food can be provided, however rabbits & rodents have delicate intestine flora & change of food can be upsetting, therefore we strongly recommend that you provide your own dried food. Owners are welcome to view & inspect our premises prior to their pet boarding. We offer a collection & delivery service should you require the convenience. We look after Rabbits, guinea pigs, ferrets, birds, mice, hamsters and many more. As featured on BBC Lancashire Radio. educational school program about rabbit care. Rabbit Run also actively supports the Keysborough Animal Shelter through the foster care of lost and abandoned rabbits and through the donation of food and goods. Information and education about domestic rabbit care; bunny minding; educational school visits; rabbit goods and services. A property in Blackheath in the Blue Mountains west of Sydney where you can board your dog, cat,, goose, duck, rat, guinea pigs or chicken while you are on holidays. Rabbit boarding available. I am a well-reputed registered rabbit breeder known as The Rabbit Lady, with 30 years experience at breeding rabbits and 12 years experience at boarding other people's beloved companion rabbits. Reasonable rates, discount over 2 weeks, your rabbit's special preferences are catered for. No matter what your pet is they are welcome to stay with us! All pets other than cats and dogs must come with their own enclosure and food etc, we are happy to care for them as you would at home! Board your pet mouse or rat with a professional team. Your pet will be cared for like one of our own giving you peace of mind whilst you are away. You will no longer have to ask reluctant friends or relatives to help you out by caring for your Rabbit or Rodent whilst you are on holiday. AWAY FOR HOLIDAY??? LOOKING FOR SOMEONE TO LOOK AFTER YOUR PETS?? We can board your "Best Friends" should you need someone to care for him or her while you are away. You can be confident that they will get the care and attention you would provide if you were home. We are happy to look after your: Rabbits, Guinea Pigs, Rats , Mice, Ferrets, and Birds. For these "Best Friends" we would prefer you brought your own cages but very soon we will have some of our own set-up to provide that home away from home you want for your pet. Boarding for Rabbits, Guinea Pigs and small pets in Norwich, Norfolk. Large safe indoor and outdoor hutches available to house your small pet. Discounted boarding long stay or for more than one pet. Collection and delivery service available. Luxury Rabbit Borading in Norwich - offering holiday kennels pet sitting service, boarding Rabbits, Guinnea pigs, Hamsters, Gerbils, Rodents and other small pets. Small pets bording in large safe indivudial boarding hutches for safe minding of pets. Rabbits and other pets boarding at Poppy's Holiday Hutches receive daily outdoor exercise and personal care. Discounts are available for boarding two or more small pets, or for long stays. A collection and delivery service is available in the Norwich area. Norwich borading rabbits guinea pigs hamsters small pet kennels. Going on holidays or just need a break, you are now able to board your pet small animal with us. Also available for rabbits, guinea pigs, rats, mice, birds, fish and tortoises. The little critters are not forgotten in the new state-of-the-art veterinary hospital with pet boarding provided for rabbits, guinea pigs, pet rats, mice, and ferrets. Sometimes we have problems with our pets when we move house, have visitors, go away on holidays etc. Riverbank Animal Hospital can assist you by caring for your little friends when you can't. You can rest assured about their safety and care as they will be in the hands of professional vet nurses and the vet is right at hand if required. Pets are fed, watered, cleaned out and given pats and attention daily while in our care. Care if sick or after surgery. Pick up and drop off's to be groomed or visits to the vet. I have been running my Boarding facilities for just on 4 years now the Rabbits / Guinea pigs board inside my home this is why I only take a few at a time. Booking in advance is essential because we are usually booked out over the busy periods. I have owned Bunnies and Guinea pigs all my life and love these little critters I have veterinary nursed for almost 7 years now I have a strong interest in these little critters. I am happy enough to answer any questions you may have either via email or phone, also feel free to come and check out my boarding facilities to ensure they suit both you and your bunnies/pigs. What I offer your pet when they board with me. Fresh hay oaten hay for bunnies and grass hay for pigs/Greens twice daily what they prefer. Playtime outside for at least 2 hours under supervision so they can dig, play and run. Room to run during they day and a nice warm cage to sleep at night. Rabbits are not in cages during the day they have free room to run and they are locked up at night. All I ask from you is that your Rabbit is up to date with their vaccination. Rabbit Boarding, Guinea Pig Boarding, Bunny Boarding, Rabbit Care, Rabbits. Rabbit Boarding at The Rabbit Sanctuary. Deluxe cage $15 per day. Deluxe Playpen with Castle $20 per day. Premium rabbit pellets and fresh hay and veges. Rabbits can also be desexed vaccinated rabbit bonding service too. Rabbit training provided also including rabbit bonding. The Guinea Pig Retreat offers long or short term boarding for your guinea pigs at reasonable prices. We only take a handful at any one time, so your piggies will get plenty of individual attention. We have a lovely range of spacious indoor and outdoor enclosures that can be customized to cater for your animal's needs, or you are welcome to bring your own. All supplies and toys are provided. Guinea pigs will be fed 3 times a day on a diet of fresh fruits and veggies, unlimited oaten hay and water, and Peter's lucern pellets. Discounts apply for pensioners and long term stays. We specialise in the care of birds and exotic pets. As pet lovers, the team at Noah’s Ark believe that your pet deserves five star treatment while you’re away. Your pet’s happiness is our first priority! Our piggy palace is the ideal haven for your guinea pig whilst you are away for either business or pleasure. With both indoor and outdoor enclosures available, we can cater for your piggies needs, whatever they may be. We encourage owners to bring their guinea pig’s cage and belongings to ensure your guinea pig’s home away from home is as stress-free as possible. However if you are unable to provide your guinea pigs cage, we have a range of luxurious guinea pig hutches available for hire. Noah’s Ark Pet Resort is booking up quickly over the Christmas break!! Phone us on 0404 691 022 or book on-line to ensure your loved one is being cared for by a trained veterinary nurse while you are away. Palm View Resort, run by Palm View Guinea Pig Rescue & Recovery Shelter - offers a not for profit, Holiday Boarding, and Vacation Care set up for your beloved Small Animals. Feel Confident knowing that your guinea pigs (or small animals such as rats and mice) are looked after by a knowledgable, high standard, guinea pig Shelter. Indoor boarding facilities, calm, peaceful environment, constantly health monitored, perfect diet, kept clean, safe and healthy. Also boarding for Palliative Care animals and special requirement animals. Operating to brilliant standards and highly recommended, service - operating for 3 years. Going away overnight or for the weekend? Not sure what to do with your furry friend? Want to be able to relax knowing your pet is safe and being well taken care of? Boarding for rabbits, guinea pigs, rats, mice, ferrets and more. Call us for more information. Large suites to suit single or multiple pet families with large play area for fun and exercise. All within climate controlled comfort separated form the cat boarding.